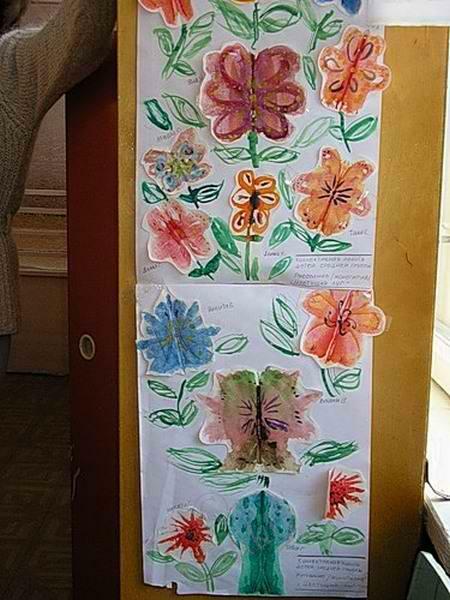 You'll have much fun doing these activities for kids at home. 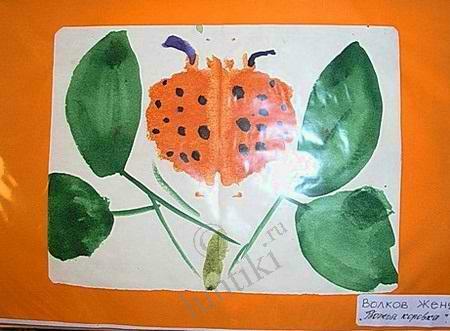 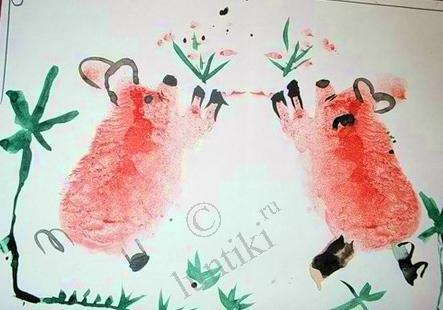 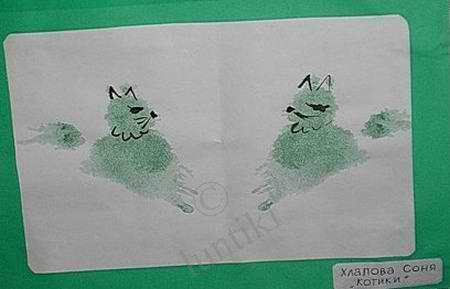 We'll start learn to draw for kids with an Unconventional Painting Method — Object Monotyping. 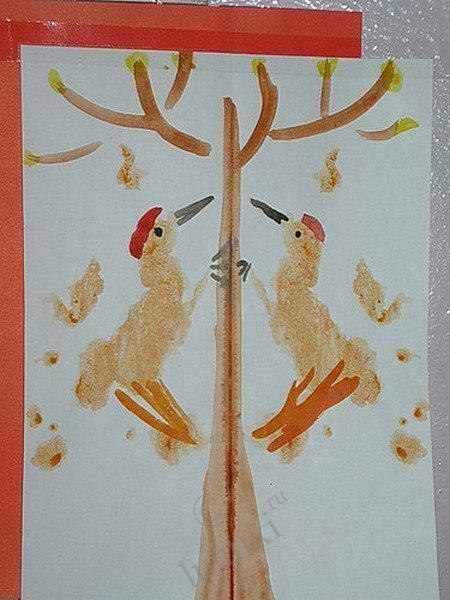 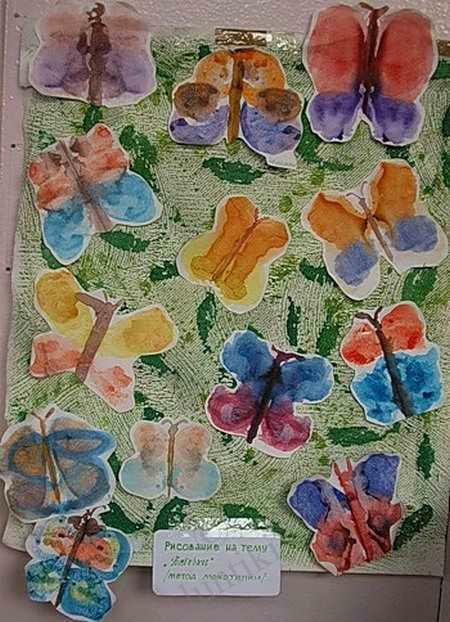 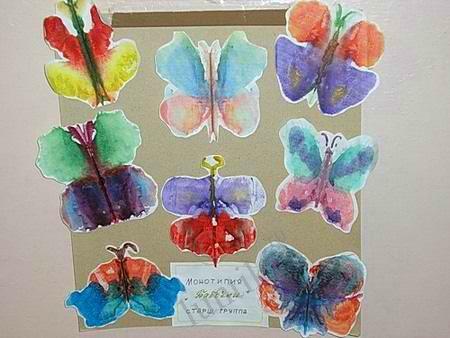 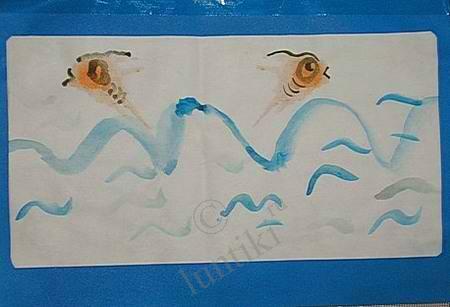 This method will help us learn the means of expressiveness — blot, symmetry, color. 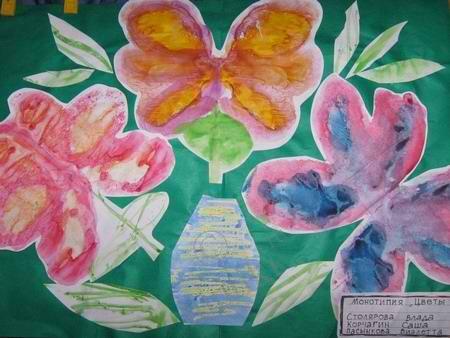 We have classes with kids aged 5 and older in the kindergarten. 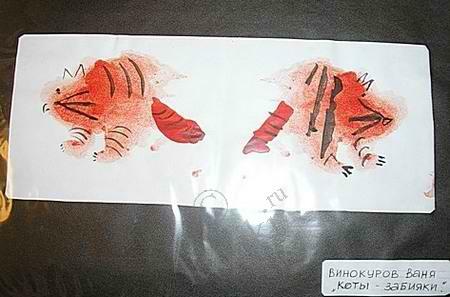 A kid folds a sheet of paper in two and on one half he draws half of the object (the objects are chosen symmetrical). 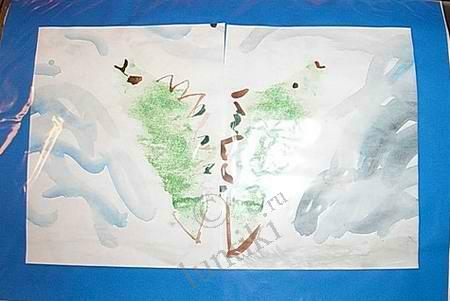 After he has drawn each part of the object and before the paint has dried, the sheet is folded in two again for making an imprint. 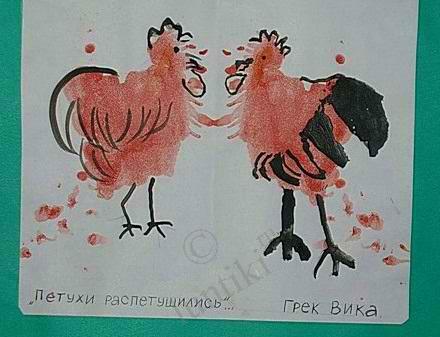 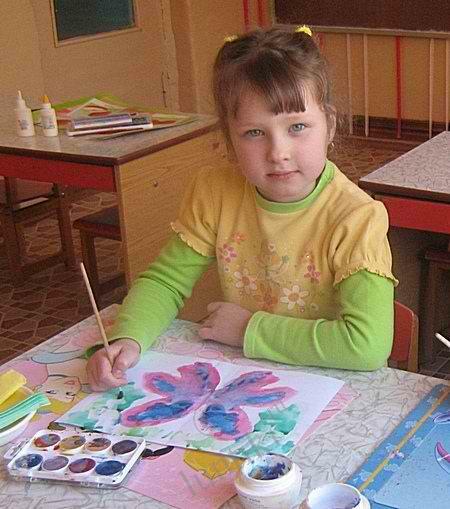 This picture can also be decorated: the sheet should be folded again after drawing some decorations.